�� B.B.M. & M.B.A. from Mysore University. �� Junior Grade Music training at Sagar from Srimathi . �� When I wrote my first romantic poem it was endorsed , instilled by the editor of Manina Vasane a Kannada journal. Which has created me suitable podium for my feelings. �� My first poem composition by name " Vishwa chethana" was published at 73rd All India Kannada Sahitya Sammelan. �� First Short poems composition by name Aridrada Hanigalu was published. �� I am penning to all the noted journals and magazines, newsletters. �� In the year 2004 with self inspiration I wrote lyrics in Sanskrit about Godess of Vardahalli. Which was made C.D. in my musical direction and also I sang for the first time. The same has been brought to the market by Lahari Company in the name "An ineffable soul"
�� In the year 20006 my 3rd C.D. " Bhakti Vandana" was brought by Lahari Company the devotional lyrics were written by renowned Kannda writer Ni.Na Madhyastha and musical direction was done by me. But fortunately I met the one of the Maestro of the Music world Dr. S.P. 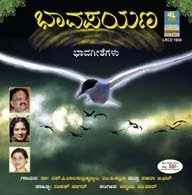 Balasubramanyam, who whole heartedly endorsed the amateur director as like me and he added his deep melody to this CD. �� In the year 2008 I installed a Small studio in my residence from that I recorded Soundharya Lahari., in my voice and with the narration of Vidwan G.S. Ganapathi Bhat, Shimoga. 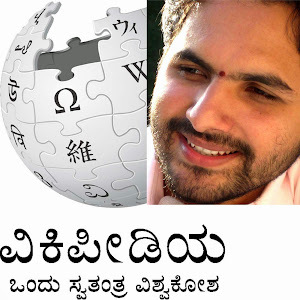 It was released by Geethashi Audio, Bangalore. �� My first Light Music Album "Bhavapayana" was released in the same year. Play back singers : Dr. S.P. Balasubramanyam, M.D. Pallavi . �� In present year under my music and lyrics a Devotional Album " Sri Gururaya" on His Holiness Sri Raghavendra Swamiji , Mantralyam. Playback singers : Rajesh Krishnan, M.D. Pallavi. The Same was released in Telugu Language. �� In present year under my music direction first kids Album " Bannada Chitte" was recorded and the lyrics by renowned Kannada Novelist Dr. Na D’souza. �� As being a Classical Musician my prime motto is to transfer the classical tradition to next generation in categorical way. �� To mesmerize the general public in vast by rendering the music and lyrics of devotional songs, light music and film songs. �� To Improve my studio and give the opportunity to the rural talents.